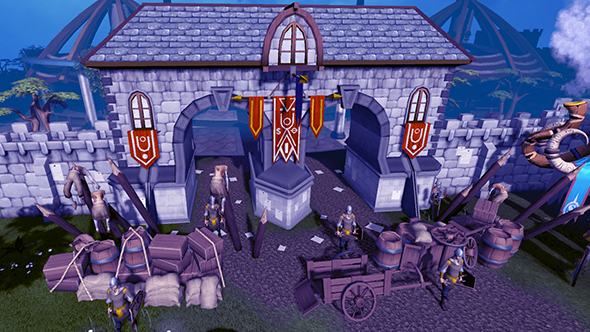 It seems every game is getting into the Halloween spirit by now, and the venerable MMO Runescape is no exception. The dead will rise for ten days with the new Dimension of the Damned event, a bit of competitive PvE that sees players hit an alternate dimension to kill as many zombies as they possibly can. Check out the best free MMOs on PC. Zombie slayers take runs in hour-long chunks with fresh, fully powered characters made just for the event. You can take as many runs as you want during Dimension of the Damned’s duration, with only the best score being recorded. Despite zero PvP in Dimension of the Damned, there’s plenty of danger with the ever-present threat of zombieism to keep in check. The top 1,000 players will then compete in a 90 minute last-person-standing event to crown the ultimate champion. Those thousand finalists net a unique title, the top ten get their names engraved on a statue in Falador and a unique pet, and the top five will get a trip Jagex HQ and a year of Premier Club membership. The grand prize winner gets all that plus 200 million GP, a lifetime membership, a “real-world zombie award,” and the right to call themselves King or Queen of the Damned. Dimension of the Damned is already in progress, and its 90 minute finale is scheduled to take place October 28. For more rules and details, check out the official site.